The station is powered by a Wireless Davis Vantage Pro2™ Plus including UV & Solar Radiation Sensors. The data is collected by the base station every 3 seconds and is updated every minute to the web site. This data for this site is collected using Weather Display Software. The station is comprised of rain collector, barometric, temperature and humidity sensors, an anemometer, solar radiation sensor and a UV sensor. 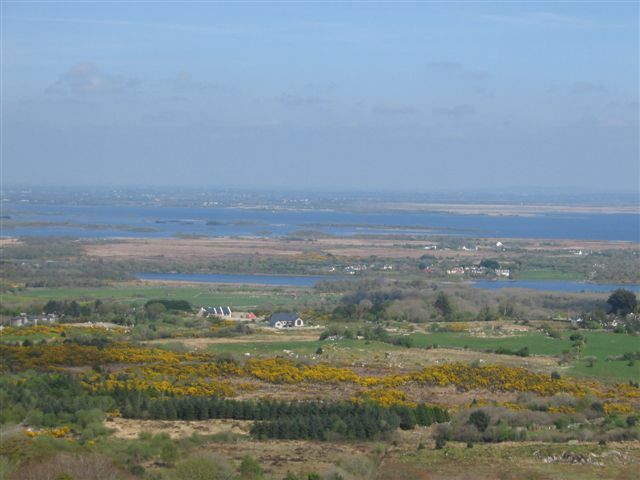 A place of great natural beauty, Moycullen is bordered to the east by Lough Corrib, to the south by the outskirts of Galway city and to the North/north west by Connemara and the Gaeltacht, each of which have influenced the landscape and growth of Moycullen. Only 7 miles from Galway a university city, Moycullen has a long history and tradition. The name may be derived either from Magh Uilinn, the legend of the slaying of the giant Uilinn, or from Magh Cuilinn the "plain of the holly". For centuries Moycullen was an Irish speaking, farming community. Centered around the village church Muire Gan Smál, with five national schools scattered across the townlands, it was a small crossroads on the way to the city. Since the famine, emigration had been the fate of generations of Moycullen families who left for the USA and England. Since the 1990’s however Moycullen has seen a large population growth with many of those working in NUIG, GMIT, the university hospital and the arts and business industries in the city moving there. Restaurants, cafés, quaint shops, a large supermarket, a varied and lively pub scene and more recently a Friday open air market have all enhanced the village. A strong community of Irish speakers persist, and regular Irish language classes, a Gaelscoil and spoken Irish in the national schools, all keep the tradition of Irish language alive. Comhaltas for traditional Irish music, Cumann Staire the local history society and a monthly local magazine are some of the cultural outlets. Sport is an important part of Moycullen life with a long history of GAA where recent wins have included the All-Ireland Football Intermediate Championship in 2008. In handball, Moycullen have also had success at All-Ireland level for many years. The Moycullen Basketball club is very well established with teams at all age levels who have been successful in local and national competition. The Senior Men’s Basketball team won the Senior National Cup in January 2009 and now compete in the national Super League. Anglers fish for trout and pike in Ballyquirke and in many of the other small lakes. Despite being so close to the city the landscape surrounding Moycullen has remained unspoilt and in places wild. At only a short distance from the village the sound of birds singing is all that can be heard walking the small roads and boreens. Pheasants, foxes and badgers can often be observed. Striking views can be seen from the village looking eastward over Lough Corrib. From more elevated vantage points such as Cru Hill (see photo above), the Twelve Pins and Connemara can be seen to the west, with Galway bay, the Clare hills and the Aran Islands to the south. Those who emigrated, the Moycullen Diaspora with deep memories and interest in their native parish also form part of the community and though spread across the world and away for many years their thoughts are coloured by memories of Moycullen. Remaining aware of and participating in Moycullen life is now more possible through the phone, internet and local magazine. Moycullen, at once close to a city and yet also so close to nature, is a place made special by it’s community and customs, it’s history and unspoilt landscape. Thanks to Karl at the Irish Weather Netrwork for all his help in setting up the station. Thanks to Catherine Wall for writing the piece about Moycullen. Her love of her native Moycullen is very evident in this description.